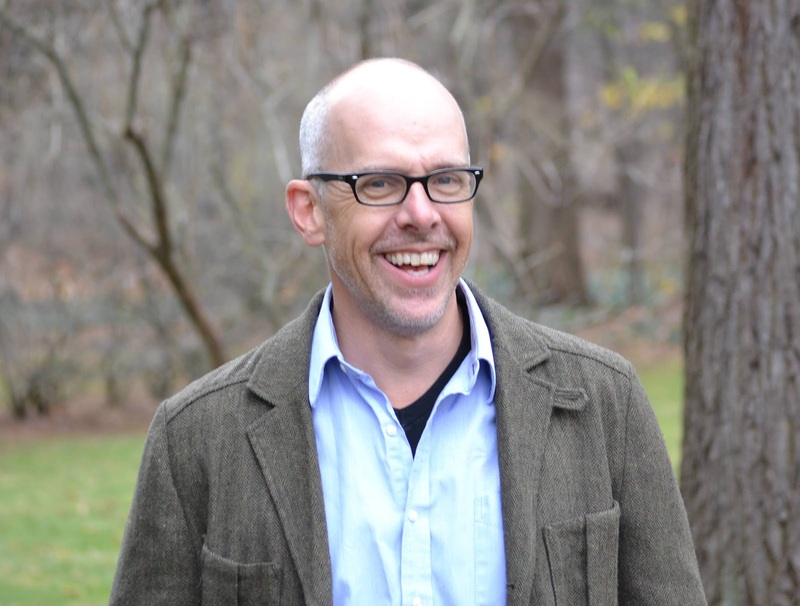 I’ve recently had the pleasure of interviewing David Kinkela, Associate Professor of History at SUNY Fredonia and — of particular note here at AmericanScience — winner of the 2012 FHSA book prize for his DDT& The American Century: Global Health Environmental Politics, and the Pesticide that Changed the World (University of North Carolina Press, 2011). 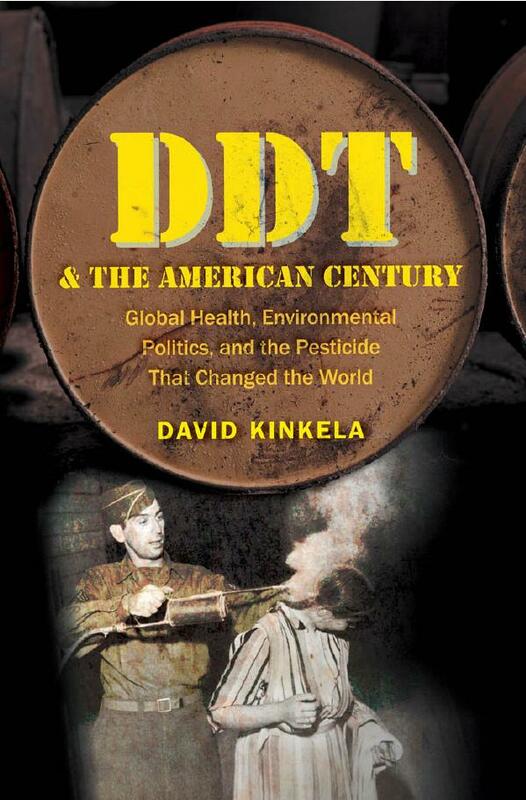 The book is a remarkable exploration of the history of DDT and especially the domestic politics of its global use. (You can read an excerpt here.) I’ll leave Dave to explain in his own words the significance of this history and his approach to telling it, as he does in our interview below. As I think you’ll agree, it really should be assigned reading for many American policymakers much as historians of American science. Helen: I just finished your book this evening, which has got me fairly brimming over with questions. I found it a really thought provoking read — and one that answers a lot of questions I’ve had about the history of DDT. I would write that it was an “enjoyable” book but then it is not a history that gives one great pleasure to learn, uncomfortable as many of its implications are; I think clear, informative, question raising and eye opening are probably more fitting. Following on that thought, I wondered in what ways your own eyes were opened in the process of writing this book. Is the story you tell here the one that you had envisioned when you started the project? And, related to that question, what got you interested in writing this history of DDT and American politics in the first place? Dave: I became interested in DDT because it was a chemical that migrated. It’s a persistent pesticide. It does not break down once applied and it travels through the food chain, accumulating at higher concentration of species at the upper end of the food chain in a process called bioaccumulation. For me, the migratory aspect of the chemical opened up a series of questions about the limits of environmental regulation and the connectivity between different regions that used or continue to use DDT. While there is a lot of literature on DDT, not much work had been done on the global or transnational connections that, for me, were at the heart of the DDT story. Additionally, the literature that made these connections tended to be written by people affiliated with conservative think tanks. The common argument was that Rachel Carson caused the death of millions of African children because Silent Spring led to the ban of DDT in the United States. So I was interested in understanding the roots of the conservative backlash against Carson and its connection to the fight against malaria in Africa. The argument didn’t make sense to me. Therefore, I set out to explore the contemporary politics of DDT from a historical perspective. So as I started of this project, I wanted to write a much broader history of DDT, but I really didn’t know where the evidence would take me. What I did know, however, was that the story of DDT was also a U.S. story. It was a history tied to the Cold War ambitions of U.S. policy makers, who sought to improve the lives of people around the world with American technologies. What I didn’t know was how explicit these connections would be, not just in the rhetoric of insect control (Edmund Russell’s wonderful book that uses the metaphor of annihilation to explore the connection between insect control and the atomic age), but also in the function of postwar development projects around the world. H: I did wonder whether some of the initial motivation for the book was to take on the narrative about Carson, DDT, and malaria currently coming from conservative think tanks. Can you can lay out very briefly for our readers the main points of that (conservative think tank) narrative, and describe what your historical perspective shows by comparison to this? Do you see any elements of this more complex historical perspective surfacing in contemporary political debates — or, if they are entirely missing, ways of bringing them in? D: I guess I did. When I started this project, I was surprised at the amount of animosity towards Carson. It effectively blamed her for the deaths of millions of people because of the DDT ban. This critique certainly ran counter to my understanding of Carson and her legacy. So as I started this project, I wanted to explore the roots of this thinking. The conservative critique of Carson is rather straight forward. In essence, it goes like this: Rachel Carson’s Silent Spring led to the ban of DDT, which effectively ended malaria eradication projects around the world. Carson’s work, therefore, hamstrung malaria fighters–they could no longer use the chemical pesticide to “eradicate” the disease. As a result, malaria rates have increased dramatically since the 1970s, leading to the death of millions of people in Africa and Asia. Children under five are most susceptible to the ravages of the disease. It is a heartbreaking public health problem. Yet it is a situation the Competitive Enterprise Institute’s website rachelwaswrong.org fully exploits. The website is filled with pictures of young children who died from the disease. And according to their story, the sole cause of their death was Rachel Carson. As I mentioned in the book, this narrative has grown over the years and has become one of the conventional conservative arguments made about the environmentalists. In other words, environmentalists care more about trees than people. It’s a story, however, that continues to prosper because, like many myths, it is framed around some truths. Rachel Carson did change the DDT story. The EPA banned DDT in 1972. And since the 1970s, malaria rates have increased tremendously. This increase also came after two decades of decline, where DDT was the primary means to eradicate the disease. So from this set of facts, the story is clear–Rachel Carson is responsible for the unnecessary suffering of millions of people around the world. Yet, as I write in the book, the foundations of these “truths” mask a much more complicated story that’s rooted in a number of overlapping histories. The U.S. ban on DDT in 1972 was almost a perfect storm of historical circumstances, one that enabled the Carson myth to emerge and prosper over time. For example, the World Health Organization abandoned its ill-conceived malaria eradication program in 1970 because mosquitoes developed resistance to DDT (and dieldrin). The chemical(s) no longer worked – conservatives always forget this part of the story. Similarly, the radicalism of the 1960s shaped the historical narrative of environmental regulation in the United States. Environmentalism, in other words, were part of some radical agenda to undermine the economic vitality of American capitalism. We certainly hear strands of that thinking today. Additionally the morass in Vietnam, the declining industrial base, the geopolitical confusion of detente, and the OPEC oil crisis all served to frame the DDT story in ways that threatened the geopolitical aspirations of many conservative thinkers who believed in American might and exceptionalism. Banning DDT undermined the nation’s ability to help people around the world to live healthier and more productive lives, which, as I argue in my book, was at the heart of Henry Luce’s vision of the American Century. Therefore, and not surprisingly, the story of DDT is much more complicated history than the one told by the CEI and other conservative think tanks. Naomi Oreskes and Erik Conway’s wonderful book Merchants of Doubt also explores this history, but does so from a different perspective. They’re interested in understanding how the right has undermined science in the name of politics. And their section on DDT is terrific. My book attempted to explain the right’s vilification of Carson from a much wider perspective, one that draws on history of international development and the Cold War and its connection to the political upheavals of the 1960s and 1970s. H: I’m going to push again on the second part of my question (about bringing your history into these contemporary debates), because I was especially impressed by your managing the difficult task of drawing out a lesson in the closing pages of the book. It’s not an enviable task given the obvious complexity of the history of DDT, its use in public health and agriculture, its implication in debates about American power abroad and environmental concerns at home. So I wondered: Have you had a chance to write about or discuss this history and its lessons in broader circles, or do you intend to? Do you see that as part of the role of a historian who grapples with issues that are in the public eye? D: Great question. As I mentioned, I was really intrigued with the contemporary politics of the DDT question and its implications. Since I finished the book, I have written some short essays–I’m currently working on one for an edited book on Science and Politics that directly speaks to the politics of DDT history. In addition, I have been contacted by a number of public health experts about speaking to various groups about my work, so I have a number of things in the works. More broadly, I think historians can and should engage with broader political questions and audiences. And I think environmental historians are particularly well suited for this work. I recently chaired a panel on resource scarcity. Collectively, the presenters argued that scarcity had less to do with the decline of natural resources (although that certainly was part of the equation), and more to do with the ways in which the management and/or exploitation of a particular resource had been understood in the public. I also think a great many of my colleagues within the field of environmental history are interested in engaging with the question of how history can shape current debates over resources, energy, or climate change, for example. From my perspective, the field has always been driven by the desire to speak to contemporary environmental/political issues. The idea of useable past, I think, is embedded in the kinds of questions environmental historians bring to the table. My work has certainly been influenced by this approach. However, as we engage in these larger environmental/political issues, I think we remain trapped in the tension arising from your provocative question about audience. Who are we writing for? Are we writing for a broader audience or for other historians? These were questions I grappled with every day while working on my book. And for the realities of my work life, how would the answers to these questions shape my tenure file? Ultimately, I tried to find a narrative line that positioned the book somewhere in the middle, but one that emphasized the archival record on the DDT story. I can’t say I successfully navigated this line, but it was something I spent a considerable amount of time on when writing the book. And so while the tensions between writing an academic book or a popular book will always exist, I think we need to think about how to engage with broader audiences to demonstrate the value of thinking historically in a moment of such dramatic environmental change. H: I think that the “useable past” is an idea that many of us in the field could do well to grapple with more directly, and you’ve set a great example here. I want to go back to something you said in your response to my very first question, about the history of DDT being a global history and yet at the same time a history that cannot be understood without particular attention to the American national context. One of the most impressive feats of the book is its balance of these international and national stories. Was this something you found challenging – either historiographically or artifactually (in chasing down archival material)? Do you have advice for historians grappling with topics that require a similar approach? D: Thank you for your kind praise about my book. I spent a tremendous amount of time trying to effectively connect a domestic story with an international one. And so, I guess the biggest challenge was writing the book, rather than finding source material. With that said, however, I spent a lot of time in the archives looking at the variety of source material that did not directly relate to the history of DDT, but enabled me to see the broader context in which debates and/or concerns over DDT emerged. For example, the chapter on the American Century in Italy drew from a variety of source material, the records of U.S. Foreign Service, the Rockefeller Foundation, Life, Fortune, and other magazine sources both foreign and domestic. This approach enabled me to weave a narrative about American interest in Italy that merged public health, economic development, and US Cold War interests. DDT, as I argued, lay at the intersection of this history. Incorporating the source material into a narrative line that both uncovered this integrated history and made it interesting to readers was, perhaps, the most challenging aspect of this project. The chapter on Italy, for instance, was initially part of a larger chapter one. I decided to break it out because it seemed to work better as a stand alone chapter. What’s more, when I first envisioned this project as a book, I didn’t have a chapter on the history of eradication. Yet as I wrote the book, it was clear to me that something was missing that could further tighten the international and national histories I was trying to weave together. Examining the history of eradication seemed like an effective way to fill in this gap. Indeed, much of the literature on DDT or insect eradication seemed to presume that eradication – the preferred method of malaria work in the postwar period – was just a natural evolution in how humans thought about insect control. And DDT certainly made the concept of eradication global. By exploring the history of eradication and how ideas about eradication changed over time, I would be able to connect this global history with more local and national histories. And so investigating the evolution of an idea or concept really helped me to transcend and interconnect global and national histories. At least, I think it did. As an Americanist, I’ve been influenced by many scholars who are engaged with the question of connecting U.S. history to more global histories. Having Thomas Bender as a dissertation adviser certainly didn’t hurt, but the work of people like Emily Rosenberg, Melani McAlsiter, Victoria de Grazia, to name just a few, shaped how I approached this project methodologically. I was also influenced by the work of Richard Grove, Donald Worster, and Richard Tucker. John Soluri’s terrific book, Banana Cultures also provided a model in which to consider the connections between national and international histories. In addition, Kurt Dorsey’s work on environmental diplomacy opened up a set of questions that brought a policy aspect to my work. H: What’s up next for you? D: For my next project, I am interested in exploring the history of plastics and plastic waste from an international perspective. This project attempts to historicize the multifaceted and transnational history of the largest environmental wasteland in the world, the Great Pacific Garbage Patch. While many social commentators have described as well as derided the garbage patch, suggesting the consumption and disposal patterns of the industrialized world have led to this environmental calamity – and this may be the case – few, if any, have taken a longer historical look at the natural, social, economic, industrial, cultural, and political processes that created such a catastrophe. This project, I think, both builds on and radically departs from my book on DDT. H: Sounds like a great project. We’ll have a lot more to learn from you! This entry was posted in Uncategorized on January 16, 2013 by americanscience. Gee, even Dr. Kinkela appears to have fallen victim to the CEI propaganda machine. In 1959 and 1960, the peak-use years for DDT, malaria infections were counted to be about a half-billion (500 million), and 4 million people died worldwide, from malaria. By 1972 and the U.S. ban on DDT use on cotton crops in Arkansas (about the only agricultural use left), infection numbers were not much swayed, but deaths had dropped by about half, to 2 million per year. In 2010, malaria infections dropped to 250 million — a decrease of 50% since peak use of DDT — and deaths were under 800,000, perhaps under 700,000 — a reduction of more than 75%. These numbers are remarkable considering that in the same time the world's population more than doubled, and many hundreds of millions of people more live in malaria-endemic areas than in 1960. Malaria infections and deaths may be a the lowest counts in recorded human history. Do the math: Malaria infection rates have been cut by about 75%, and the death rate has been cut even more. I'm sure Dr. Kinkela will be happy to note the facts on this issue. It makes the criticism of Rachel Carson all the more bizarre and wrong.